Conservative MP Caroline Nokes was apparently annoyed when her recent appearance at the home affairs select committee lasted 45 minutes longer than she had been expecting. Giving just a little bit more time to explain the government’s plans for the registration and access to work of EU citizens living in the UK in the event that this shambolic government is unable to strike a deal with the EU would probably be seen by most people as the least that any Home Officer Minister should be expected to do. Most would weigh up the 45 minutes of Nokes’ time against the 821,000 minutes that just one EU national living in the UK has spent waiting in the 19 months since Article 50 was triggered to find out what might happen to them and their family, and likely conclude that the minister got off rather lightly. Momentum’s members have certainly drawn that conclusion. In a recent consultation on Brexit, 97% of us agreed to support a statement defending the rights of the three million EU citizens currently living in the UK. We do not accept – unlike this callous, incompetent and reckless government – that those who have chosen to make this country their home should be treated this way. The immigration minister’s contortions – first accepting that mandatory registrations would have to be made after Brexit, then implying that employers will have to put checks in place, then saying that the government does not want to discriminate – ended with the familiar insistence that the UK does of course want EU citizens to stay. These EU citizens – our family, friends, neighbours, colleagues, public sector workers upon whom we rely for vital services – would be forgiven for thinking otherwise. Given the hostile environment which the Home Office deliberately created, and the flagrant disregard for fundamental human rights exposed by the Windrush scandal, only the most naively optimistic would take at face value anything said by representatives of this government. The campaign group The 3 Million has highlighted numerous cases of how EU citizens are being failed by our government. These include the case of a young woman from an EU member state who took part in the first beta test of the new so-called Settled Status system. This now 20-year-old full time student arrived in the UK in 2006 as an eight-year-old child. The pilot scheme offered her pre-settled status because, as it told her, “based on your insurance number you have been in the UK less than five years”. Like all people in the UK, this young woman had received her National Insurance number when she was 16 – so of course on that basis could not provide proof of five years’ of residency. The new system obliged her to select an option to add ‘further evidence’ of residency. She is now waiting for the Home Office to contact her with a list of documents, which she can send them to prove that she was here longer than her National Insurance number indicates. Whether and how somebody can prove they were living in the UK before the age of 16 remains to be seen. Children living at home with their parents do not tend to have household bills, mortgages or bank statements in their name. The Home Office appendix of documents that can be used to prove residency does not include letters from schools. As the UK considers its long-term, strategic relationship with the EU and the trading relationship it wants with the rest of the world, these might seem like second order details. But the devil will be in the millions of details that remain unresolved, on all aspects of our future relationship with the EU – including for many of these three million EU citizens whose lives are now partly on hold. 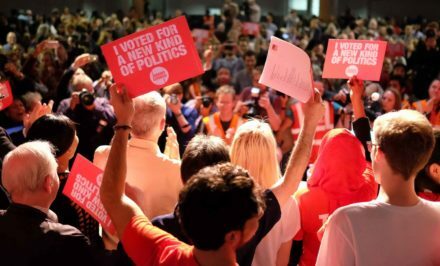 Momentum members are crystal clear: the rights of three million EU citizens living in the UK must be defended, and they must be defended now. Anything less than this would be a national disgrace. Cecile Wright is a member of Momentum’s national coordinating group.